Prior to moving to Mt. 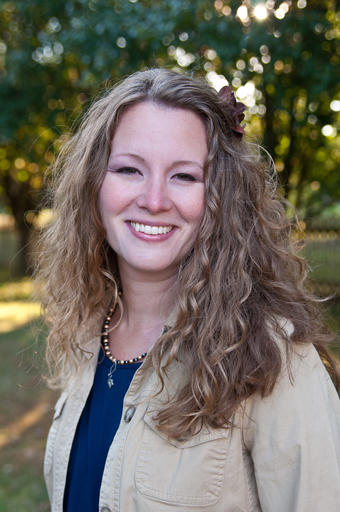 Juliet (near Nashville, TN) in 2008, Kasey spent five years in Washington where she earned a Masters of Divinity and Certificate in Spiritual Direction at The Seattle School of Theology & Psychology. She grew up in Ohio and was a youth pastor in the United Methodist Church for five years in Missouri before heading to the Seattle-area. Being drawn to spiritual direction began after finding herself in the middle of burnout in a growing ministry. While God’s invitation had been there for a long time, it was during a week at a contemplative retreat for youth pastors she became passionate about spiritual direction and its practices. Realizing she had spent way too many hours “doing” things for and in the name of God and not much time simply “being” with God, she searched and was excited to find a seminary that offered a 2-year certificate in spiritual direction in addition to the MDiv. She continues to learn much about offering hospitality for the soul from her own spiritual director, Sister Maria Edwards at Our Lady of the Lake Catholic Church, Hendersonville, TN and her spiritual direction supervisor, Sister Mary Rose Bumpus of the South Central Community Leadership Team of the Sisters of Mercy in Belmont, North Carolina. Kasey is married to Russ, and they are parents to daughter, Lainey, and son, Alex. She enjoys a cup of tea, reading, juggling, slacklining, baking, and a walk through the woods. To offer people time away from the noise of life to “be” with God and better discern the Holy Spirit’s presence and invitations in their lives. ​To companion those who are exploring their beliefs, seeking ways of wisdom, and desiring transformation, even if it takes them outside of their traditional understandings. To help pastors care for their own souls as they seek to care for the souls in their congregations. To see individuals and communities experience hope, healing and wholeness. Contemplative practice offers us new eyes to see the world. Someone's struggle or a need once hidden in our flurry of activity becomes clear. Inevitably we're called to not only notice but make a difference, for out of silence comes the creative and life-giving words & actions our world needs.